Over low heat, deglaze the hot skillet with the reduced juice mixture. 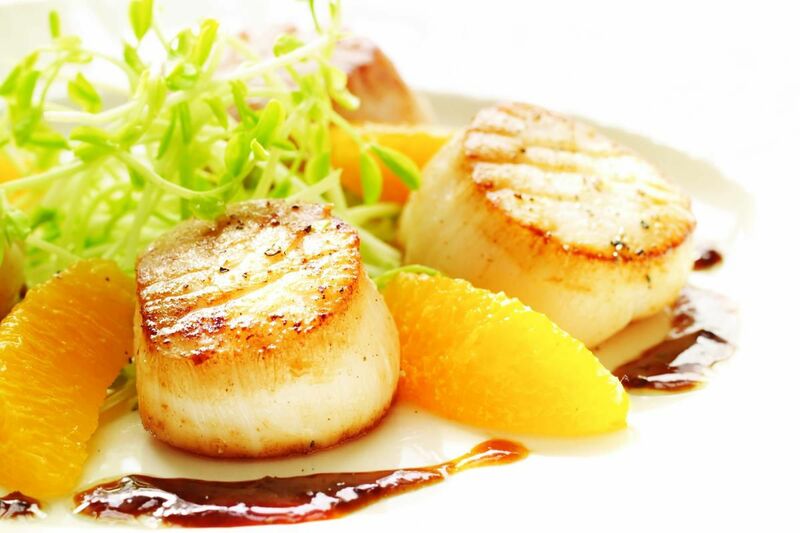 Arrange the scallops, pea shoots and orange segments on 4 plates. Drizzle with the pan sauce.